At Dance Time With Friends (DTWF), we make learning Ballroom and Latin dancing easy and fun. We offer a wide range of dances to choose from. Whether you’re a beginner, intermediate or advanced student, learning is at your own pace. Our goal is to help you learn the dance skills needed for social dancing – from the office event, holiday party or night out on the town, we’ll help you shine on the dance floor! And if you’re looking for choreography for a wedding “first dance”, cotillion or other special event, or maybe you’re just looking for a friendly place to dance and socialize, you’ve come to the right place – Dance Time With Friends. 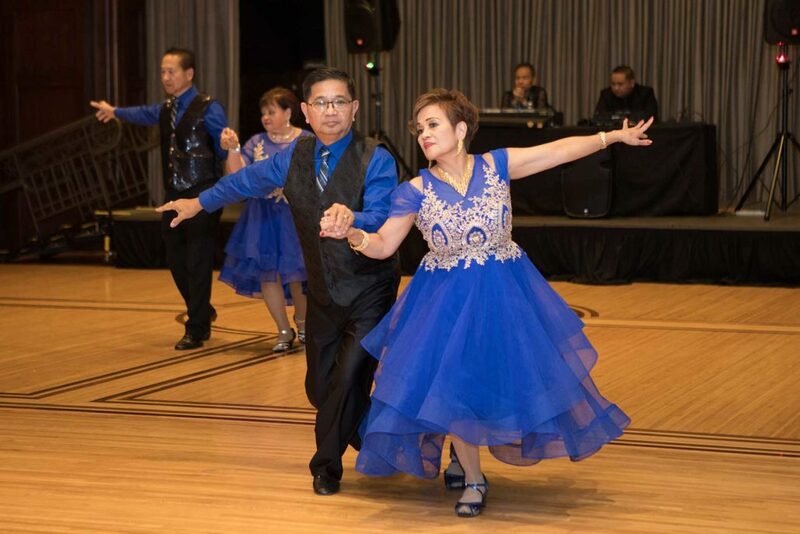 The husband-and-wife team of Ed and Luming de la Cruz has been dancing for 21 years now and are highly qualified to teach American and International Style Latin and Ballroom dances. Dance levels are designed for Beginners, Intermediate, and Advance. A well-crafted syllabus covers each level consisting of 10 dance patterns. Clean and spacious, 2400 sq. ft. dance area with wooden floors and mirrored walls specifically designed and built for ballroom dancing. Ed’s huge collection of CD’s consist of hard-to-find selections and the latest in dance music. Accessible from major highways and there is ample parking. A fun place to meet interesting people. American Style Tango features sharp movements, head snaps, and a cat-like and stealthy foot action. The music is in 4/4 time and has a marching rhythm. 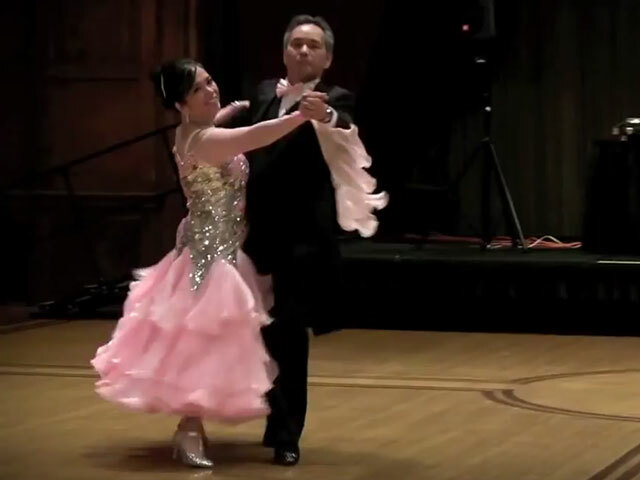 The name ‘Waltz’ comes from an old German word walzen, meaning to roll, turn, or glide. Waltz was the first dance in which the man and lady danced with body contact, and was considered quite scandalous in its day. Jive is similar to a triple-step East Coast Swing. Jive, however, is much faster, arguably more elegant (and less earthy), and uses a lot of knee and hip action. It is a slow, romantic, floaty dance that features rock steps and long glides across the dance floor. The Dance Time with Friends, Inc. (DTWF) dance studio, which is owned and operated by Ed and Luming de la Cruz, is located at 8800-A Dempster Plaza, W. Dempster St., Niles, IL. When students walk in the well-decorated and spacious dance studio – 2400sq.ft. of wooden floors, mirrored walls, and high ceilings – they are welcomed with warm smiles. The environment is friendly, supportive, and professional. 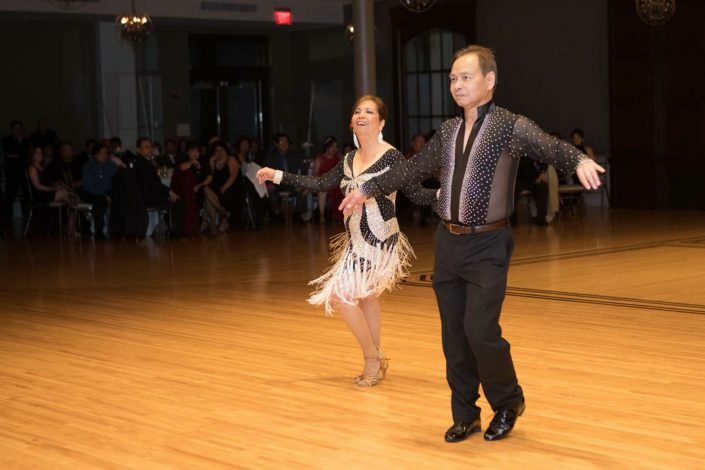 Ed and Luming wanted a dance studio that truly represents the main objective of quality and finesse in social dancing and ultimately for their students to develop self-confidence when they set foot on the dance floor. 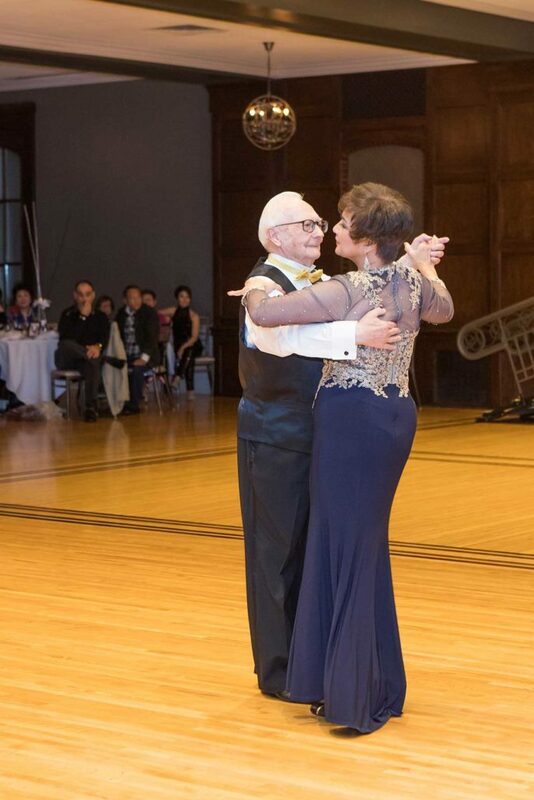 Ed and Luming have studied privately with renowned World Champion Nadia Eftedal and U.S. dance champions, such as Ron Montez, Bob Powers and Julia Gorchakova, Brian and Susan Puttock, David and Carrie Kloss, Victor and Heather Smith-Veyrasset, and Chris Morris. To continue validating their dancing skills and techniques, Ed and Luming, sought the coaching expertise of Teresa Shiry, a well-known national dance champion based in Torrance, California. 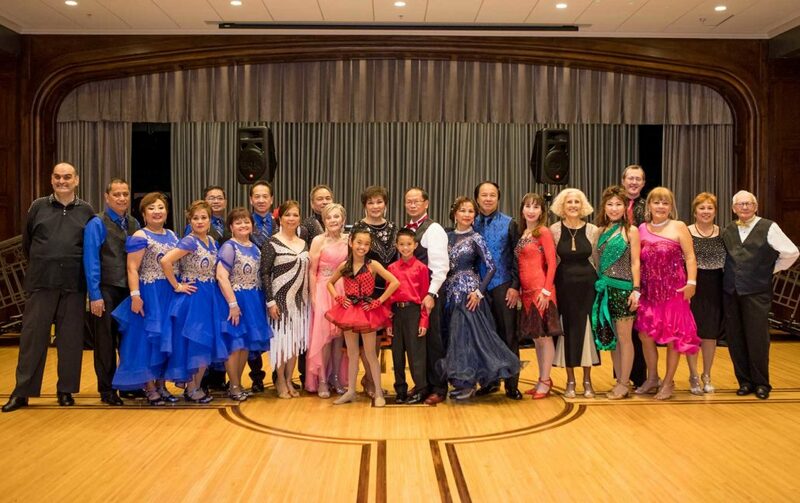 In addition to the Ballroom and Latin dancing coaches, they also studied under world renowned Argentine Tango Masters Diego Di Falco, Carolina Zokalski, and Florencia Taccetti. Ed and Luming continue to learn from the best dancers in the world and love sharing the knowledge and skill gained with all their students. 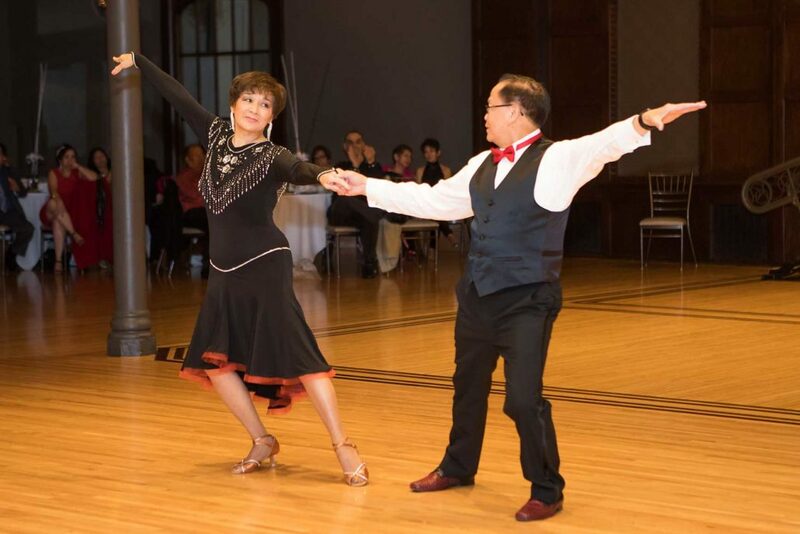 Ed and Luming started dancing later in life and as a secondary profession, but this allows them to relate to new students as they strive to learn how to dance. To the delight of their students, Ed and Luming have a caring and supportive attitude, not at all critical of mistakes or when students are slow to learn — most of all, they are very patient. Ed and Luming want to share not only their knowledge of dancing, but the joy dancing can bring. 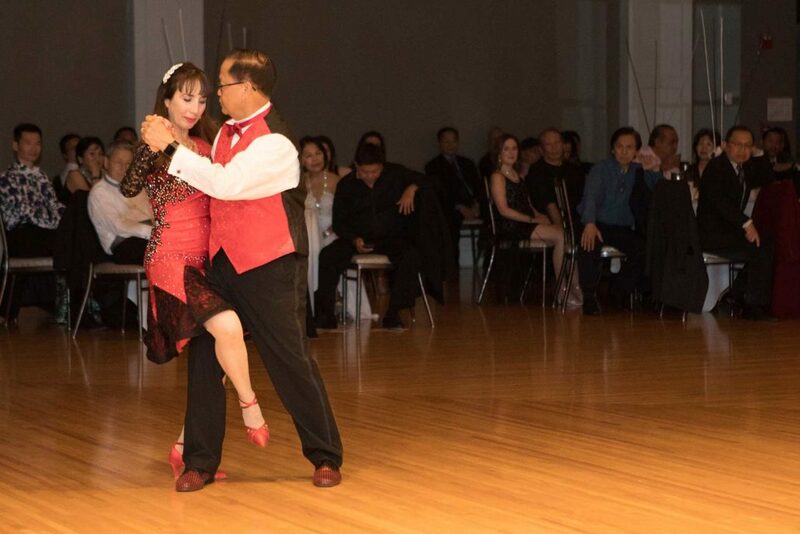 Dancing is not about memorizing steps, it’s about dancing to know oneself, to connect with your partner, and together for that moment creating something so beautiful for everyone to see. Ed and Luming, as well as their topnotch students are frequently invited to perform at various social and civic functions. Open also to public but needs a reservation a week before the party and requires pre-payment. Pay-As-You-Go and/or Package Purchases. Pre-registration is required for all classes. Unlike other dance studios, Dance Time With Friends (DTWF) does not require long term, binding contracts. We offer package lessons in 4, 8, 12, 16 or 20. Prices are subject to change. See Pricing table. Dance Time With Friends, Inc. There will be a $30.00 fee for any returned checks. Payments must be made in full upon registration or by the first day of the class. includes lessons and excused make-up classes. 24-hour notice is required for cancellation of ANY lesson. If you fail to show up without advanced notice or if you cancel within 24 hours of your scheduled class time, you forfeit the lesson. private lesson that you must use within six (6) months. Enrolls in a group class, you will receive a $10 coupon. Enrolls in “Dancercise”, you’ll receive a $10 coupon. (1) free Saturday dance party. *Drawings are held every quarter. required but highly suggested to call first to confirm if the studio is open. Open to the public: $10/person, 8:00 pm – 11:00 pm. 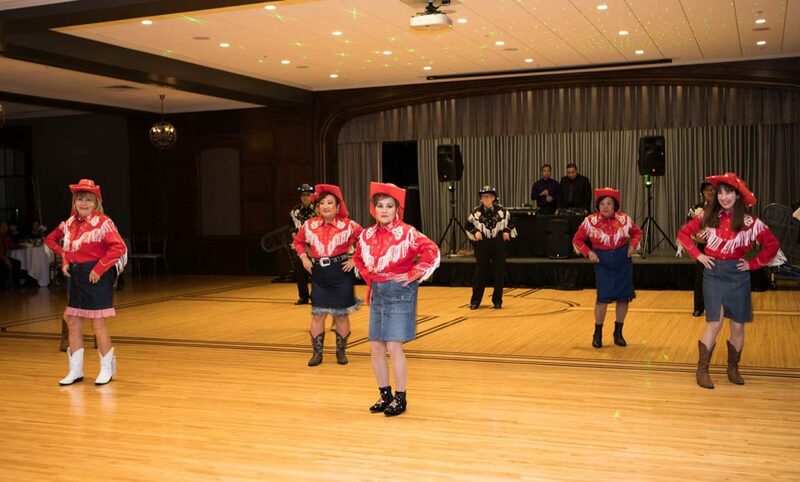 We have been dancing socially in the Chicago area for about 10 years and discovered Luming & Ed de la Cruz, Dance Time With Friends in Niles by accident about 3 years ago. 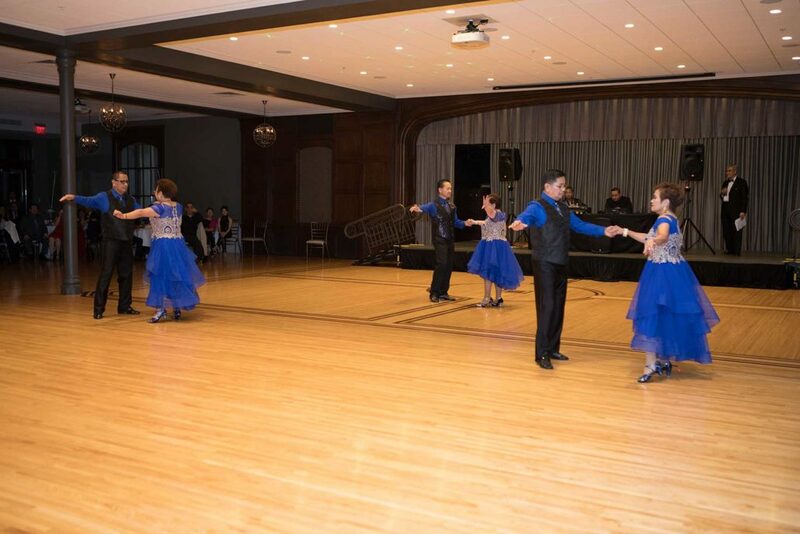 From the first visit, we were very impressed not only with their high standard of dancing, especially the latin numbers but also how warm, friendly and courteous every body is. Luming & Ed de la Cruz are accomplished teachers and dancers in their own right in all the techniques as evidenced by the general dancing. Both Luming & Ed take the time to help their students understand the many different dances and lead by example and have a lot of fun doing so. This is apparent by the distances many of the students and guests travel to attend the dance parties and lessons. Ed’s library of music is extensive and he has a great sound system. His choice of music literally draws the people onto the dance floor. It’s also as much fun to watch all the dancers. There are also a number of hosts at the Saturday night parties, so everybody gets a chance to dance. Even if you have two left feet, or by yourself, you will feel very much at home at Dance Time With Friends. Saturday night parties are also a lot of fun because there is usually a birthday celebrant and everybody sings “Happy Birthday” There is also usually a small buffet available. We would award Luming and Ed’s Dance Time With Friends a big “10” for warm friendly people, great dancers,and lots of fun. Would you like to bring joy into your life while becoming the best dancer you can be? If yes, then Dance Time with Friends is the place for you. Personally, I have found the DTWF studio to be a positive and encouraging environment. The students and the teachers, Ed and Luming, are welcoming, uplifting and respectful. As teachers, Ed and Luming, are experienced, lovingly patient and deeply passionate about dance. And they are passionate about sharing their love of dance with others. I truly feel great joy and satisfaction when I learn just one basic dance step well. I can learn each step well at DTWF, because it is taught the right way. No shortcuts . . . no hurry-throughs. 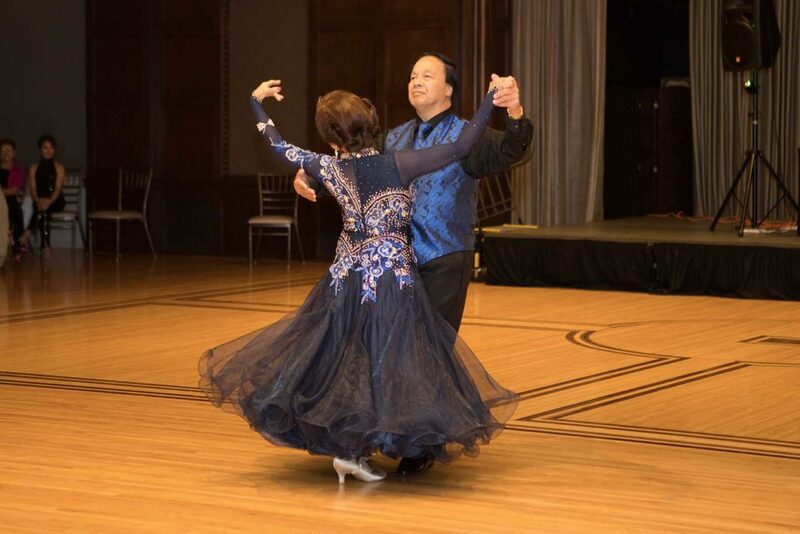 Ed and Luming are there to help you be the best dancer you can be right where you are – one beautiful step at a time. 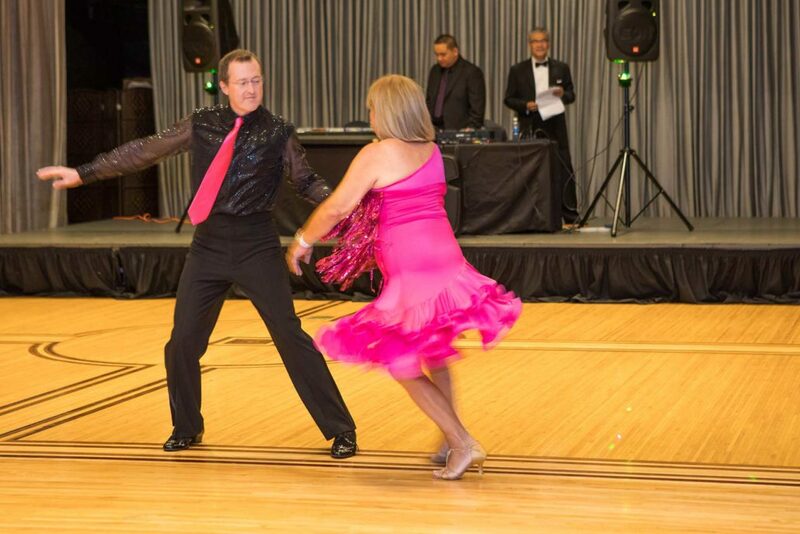 Dancing is one of my passions in life with golf, tennis and travel. 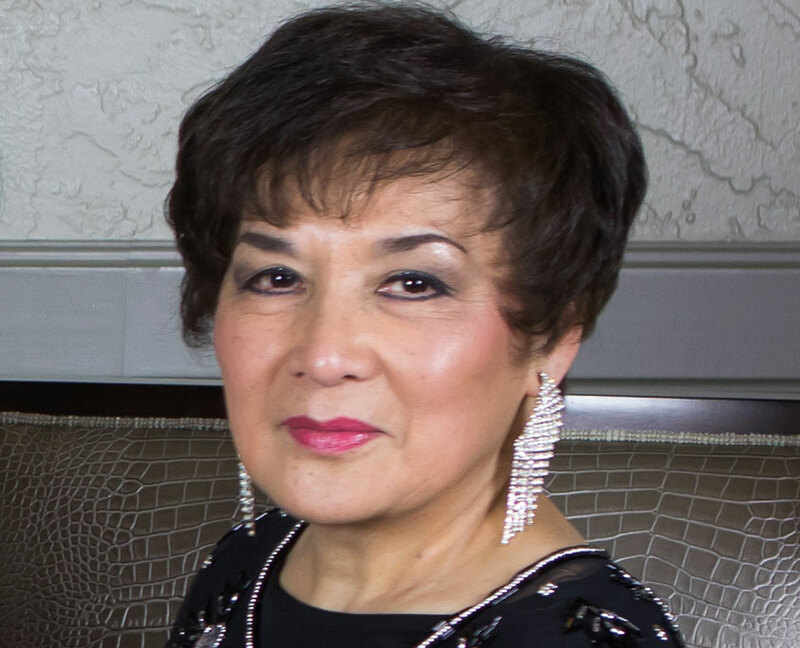 Being a single mother for 24 years I was intimidated to take lessons alone but in August, 2010, I took the courage to join Arthur Murray Dance Studio near my house. It was good place for a single woman like me but the fee was outrageously too high and I felt I was held back and not challenged to reach my potentials. After 13 months I left and joined Dance Time With Friends. The fees are very affordable but the studio has a special asset which cannot be duplicated. The couple and also the teachers have the passion for dancing. Their desire to share what they have learned studying from several dance masters and champions exudes! They teach from their hearts which is a rarity to studio owners who want to make themselves rich. Their attention to details in teaching is exemplary. 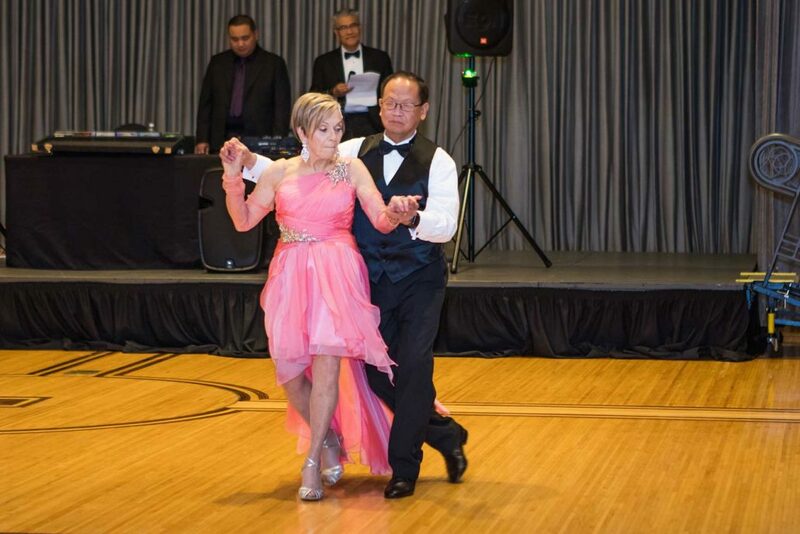 At 68 years old, they make dancing fun and great way to exercise my mind as well as my physical body. We are a couple who have been self-employed for over 20 yrs. and can easily make an excuse of being so busy to take dance lessons , but we never did. Dancing became a part of our lives. There’s so much positive to say about DTWF. 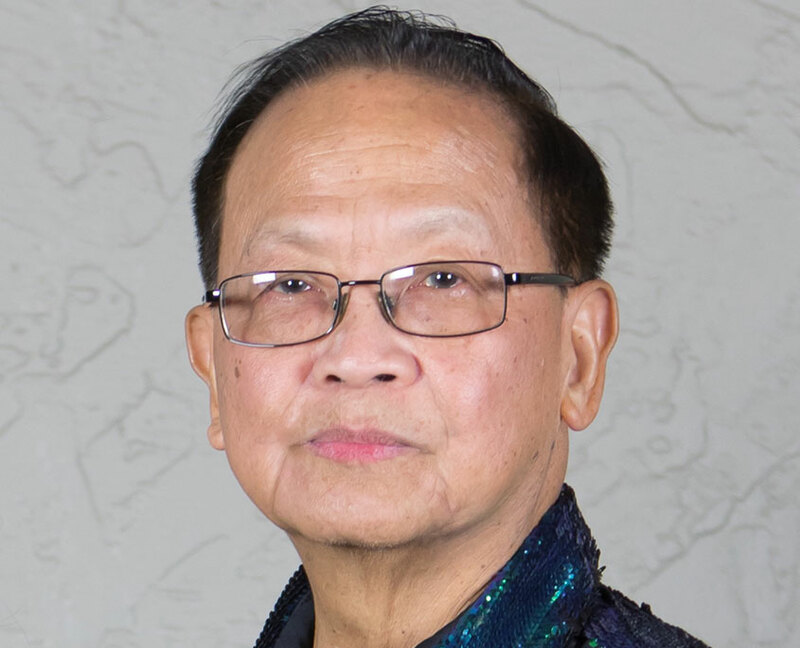 First of all, since we started in DTWF , we have built numerous valuable friendships , foremost of our close relationship with our patient, understanding and talented dance instructors , Ed and Luming de la Cruz. We have been dancing for a number of yrs. , but we never imagined we can do the complicated patterns of Advanced Rumba,Samba, Bolero,Cha-Cha,Tango which are both available in American and International Styles . People are in awe with the hand styling and dance techniques . These are all possible because of the diligent, patient teaching and coaching of Ed and Luming de la Cruz. They’re so generous in sharing what they learn from the other professional coaches. Tango. We become so rich in culture, I should say , because we learn so much of the dances of other countries. 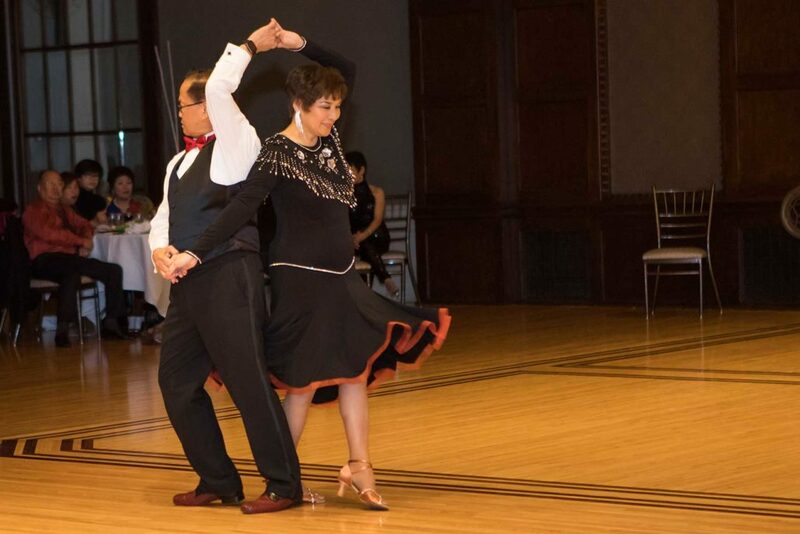 It was five years ago when my wife and I had our first ballroom dance lesson from DTWF. Because of the friendly atmosphere at the studio, we’ve kept coming back regularly for the dance lessons and practice nights. Dancing has added excitement to our lives. Aside from improving our dancing skills, we also improved mentally, physically and socially. If you are considering learning to dance or want to brush up on it, try Dance Time with Friends. There is nothing to lose. 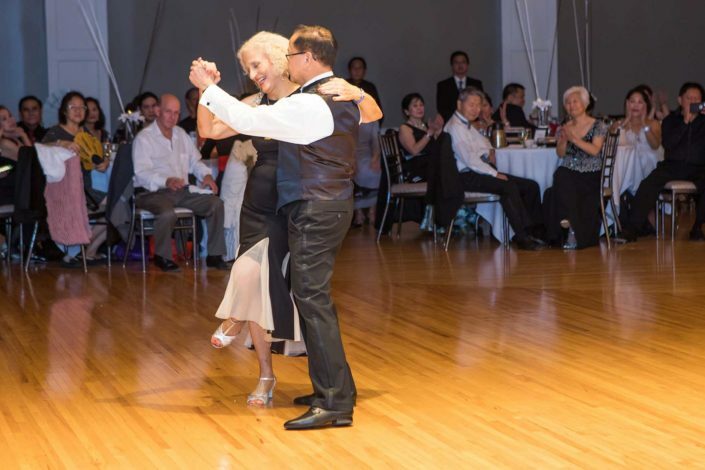 You will be surprised at how much fun and how easy it is to learn how to ballroom dance at DTWF. It’s been my dream ever since to be able to dance, I was looking for a place before where someone can teach us, Albert and myself, the right steps, moves and techniques and it was an answered prayer, we were lead to Dance Time With Friends. At first it was overwhelming, when we saw the veteran dancers, they are really goood! But because we have excellent teachers, Luming and Ed, now, I’m proud to say I can dance! I can move my hips,and I can raise my hands with styles. We are blessed to have teachers like them. We are like one family with the same interest and passion which is dancing! More power to Luming and Ed, and praying for their good health, strength and energy to teach us, and more students to come. Lastly, we love you and care for you. With your patience and dedications to your students, the gala every year is a success. Congratulations and looking forward for more years of gala events. Do I need to sign a long term contract in order to join? There are no long term binding contracts at Dance Time With Friends, you decide how many classes you want to take. We offer different price packages to fit your needs. Do I need a partner to learn how to dance? Having a dance partner is beneficial but NOT a requirement. We also have group classes for singles every Monday from 8:00 pm – 9:00 pm. In group classes, we rotate partners. Simply wear comfortable clothing and shoes. Do you choreograph dances for special events? 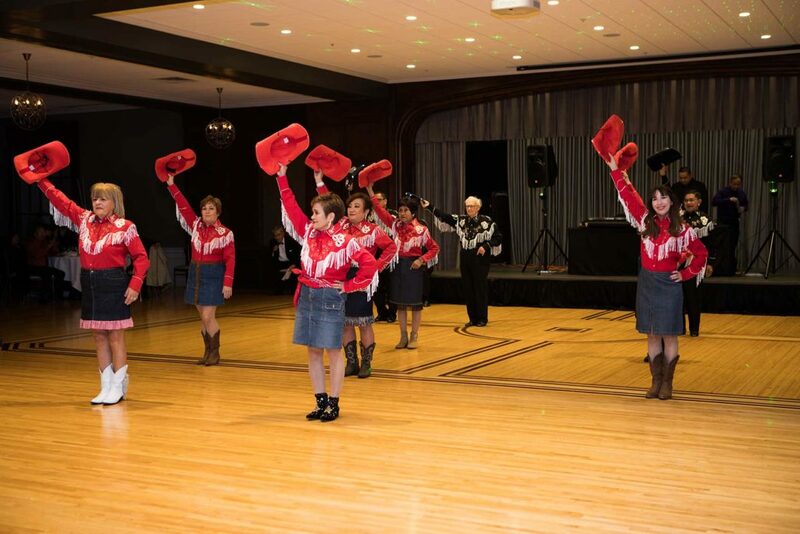 We can choreograph dances for any kind of event that you might have. 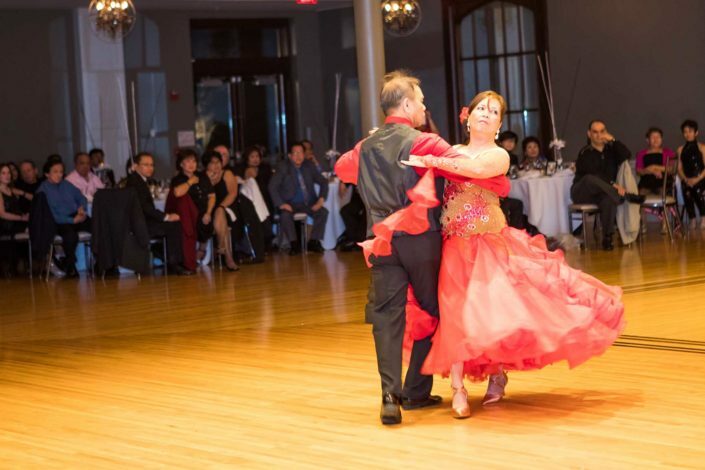 People most commonly request to learn unique dance choreography for weddings, cotillions, anniversaries, and birthdays. How long will it take me to be good? The key is being consistent in classes and practicing. We’ve had students who have never danced before, show incredible progress in only after a week. While others took their time and improved considerably after a couple of months. . In the end, everyone can progress at the speed they feel comfortable with. I really don’t have a place to practice at home, where can I work on my dancing? Every Saturday night from 8:00pm – 11:00am is dance practice/party. All this for only $10 per person. Our Saturday night dance party is open to the public. Light refreshments is served. Didn’t find the answer? Send us mail!